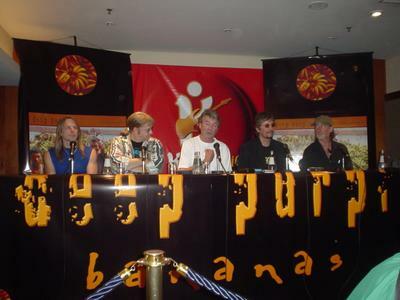 DEEP PURPLE's new album, "Bananas", will receive a U.S. release on October 7 through Sanctuary Records. The CD, which was issued in Europe last month via EMI Records, was recorded in Los Angeles with KID ROCK producer Michael Bradford. 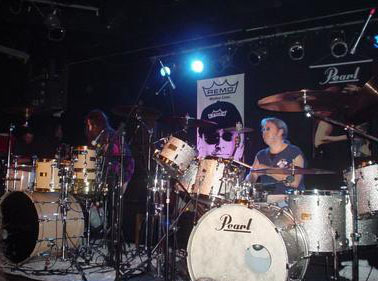 In other news, DEEP PURPLE drummer Ian Paice did a drum clinic (workshop) in Sao Paulo, Brazil (see picture) last Monday (September 8) and the whole band did a press conference in Sao Paulo (see picture) last Wednesday (September 10). 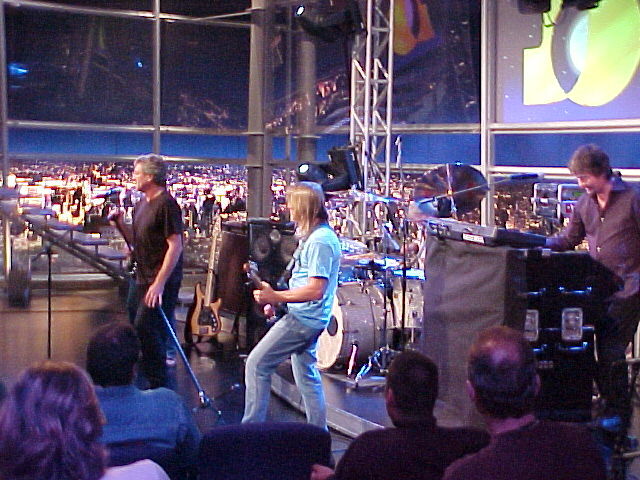 Also on Wednesday, DEEP PURPLE recorded three songs and a interview on a Brazilian talk show, called "Programa do Jô" (TV Globo) (see picture), which will be broadcast on September 19. They played "I Got Your Number", "Haunted" and "Smoke On The Water". "Smoke On The Water" will be broadcast another day, probably September 22.